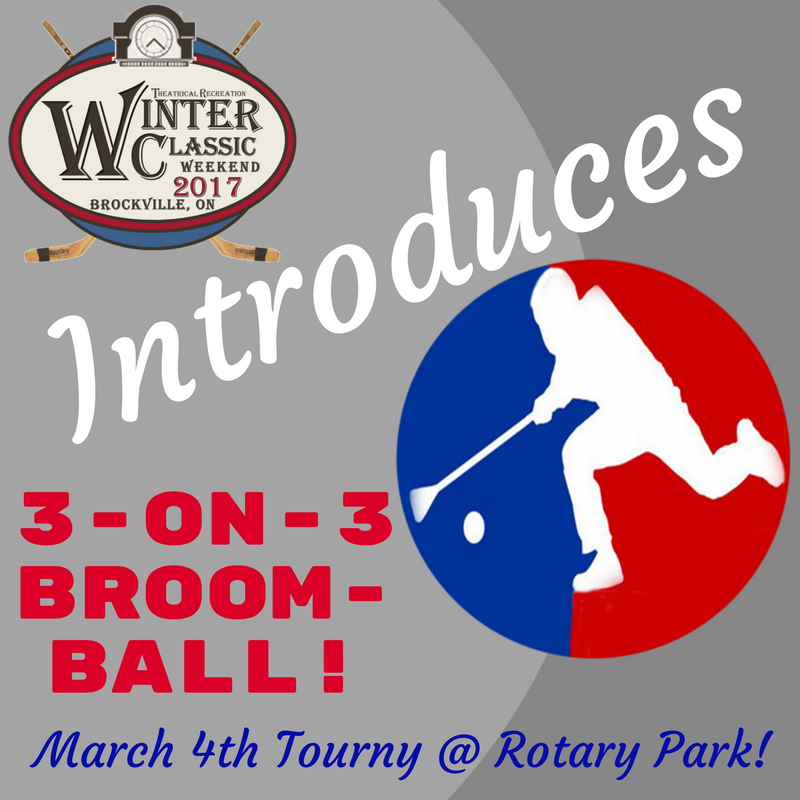 The Brockville Winter Classic Weekend introduces the addition of a 3-on-3 Broomball Tournament on Saturday March 4th 2017. Registration is $100.00 per team. For information regarding tournament schedule, equipment and other details, please contact Jeff Severson (jeff_severson@cooperators.ca or 613-213-0801) or Dan Thompson (keystormdan@hotmail.com or 613-340-4707). This event will run alongside the Outdoor Hockey Tournament and Saturday programming with proceeds supporting the final phase of the revitalization project, putting a roof over the rink at Rotary Park in 2017. Thank you for support. Your involvement helps our kids carry on the tradition of excellence that we have all come to expect from our community.